It may have taken us 100 years to perfect our new vegan ice creams, but you can be sure they were worth the wait! 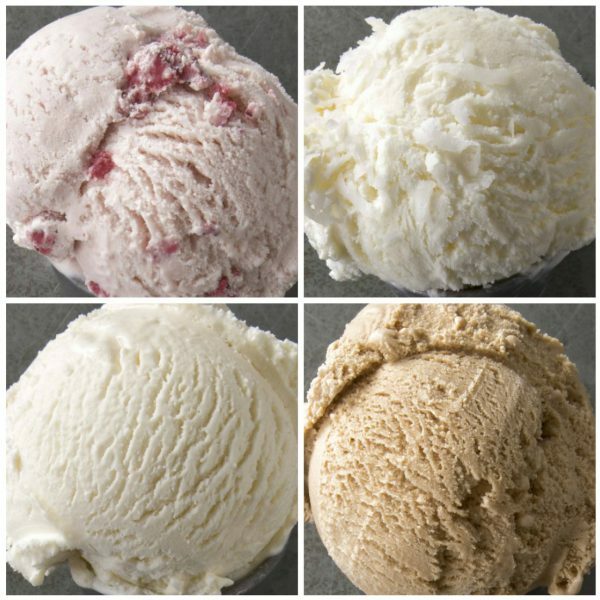 The secret is the rich coconut cream we use to make these classics the creamiest vegan ice cream available! Vegan Strawberry – Made with real strawberries for a fruity vegan delight! Vegan Coconut – Coconut ice cream blended with lots of sweet flakes of shaved coconut! Vegan Vanilla – Super creamy! A true classic! Vegan Mocha – A mixture of dark chocolate and intense coffee come together to make this superb Vegan Mocha!